The recent mysterious hoverboard fires say a lot more about their users and American society than we think. Inspired by Back to the Future II, hover boards have grown increasingly popular in the United States but also in other countries around the globe. For those of you that have been living under a rock for the past couple of years, hover boards are electronic scooters or segways (you know, what you see all of those American tourists on whenever traveling in packs throughout European cities?) that are hands free. In other words, a pretty futuristic ordeal, with prices starting at 200 dollars – and ending way, way up – these boards have been truly booming in the U.S, and even in Europe. However, the hover boards haven't really been used in the same way in both continents: in the States, people seem to largely use them for fun, to move around in their homes, rather than for transportation, like Europeans (you mayhave noticed suited-up business men on their one-wheeled segways in the metro or on the street.) Nonetheless, they are pretty much everywhere you look, whether online or on the street, and people are kind of sick of them. 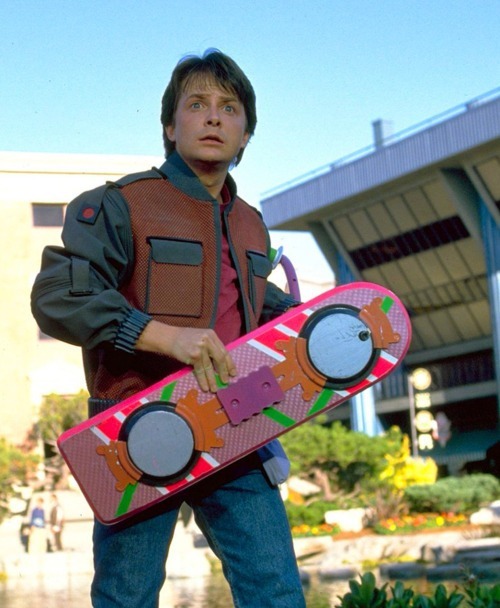 Recently, hover boards have been talked about in the media quite a bit, but for other reasons. Since November 2015, there have been multiple cases of hover board fires and explosions all throughout the US. This started with a few boards overheating and exploding or causing small fires, but spread to much graver consequences, so far as burning an entire house down. At first, everyone was trying to figure out what was wrong with the hover boards, and trying to explain the fires: an investigation was even opened onto the product. Ultimately, it has been found out that the cause of the defect is actually the Lithium-ion battery. This kind of battery, used also in our smartphones, is extremely cheap, and made in China, but is known to cause defects when used with inappropriate products. Whether this drives you crazy for people who have paid 400 dollars for nothing or laugh at the irony of the situation, this issue raises multiple questions regarding hover boards and their success. First of all, we have to acknowledge the irony and absurdity of paying hundreds of dollars simply to not have to walk – whether it is from one room to another or from home to work – or just to seem "cool". We can also grin at the fact that people who were too lazy to walk inside their homes had it burnt to the ground for exactly that reason... Or not, its up to you. In all seriousness, everyone knows that there is a huge problem of obesity and related health issues in the United States; so do we really think that "hovering" everywhere will help solve this issue? Secondly, these boards can go up to 21 kilometers per hour, which makes buying them for children extremely irresponsible. Thirdly, the fact that the makers of these boards intentionally used cheap and defected batteries for a product that they sell at such high prices, is simply outrageous. More than that, it is a perfect example of capitalist rip-offs of consumer society: people make you buy something completely useless of low quality and manage to make it seem a must-have, that they got for nothing, and sell it for hundreds, until it breaks and actually causes you harm. In a way, this could be seen as punishment, or a backlash of the stereotypical defaults of the average American's lifestyle. That is what laziness and superficiality get you: fires. Whether you are angry for all of the hover boarders out there, or hysterically laughing at this whole ordeal (like I am), I think it is safe to say that hopefully, these events will slow down the craze of the hover boards, because some of us sure are sick of seeing them everywhere.